 You can interconnect our or third party gas leak sensors with our system. You will then receive notification and the SMS upon detection of gas presence in your living area. Wireless senors for windows and doors will automatically send you an SMS and notification upon intrusion. Additionally, these sensors are capable of sounding the acoustic alarm, if your vehicle is equipped with a siren and can also warn you about open windows or doors upon startup of your engine. Communication with the electroblock allows you to switch it on or off. You will also see your leisure battery's voltage. Wireless infrared gas leak sensor launches air exchanger automatically upon the detection of propane-based gases. You will also receive a text message and notification. You can control your heating and airconditioning anywhere you are. Swap through temperature profiles, change power sources and more.  Measure the contents of up to two bottles at once wirelessly. Should there occur a gas leak from your bottle or a hose, the integrated gas leak detection will warn you in the form of notification and SMS. The pad is also endowed with a temperature and tilt sensor. Manage up to 10 light channels with the possibility of dimming and voice control. Turns any craft into a smart home! CaraControl is designed to fit in any caravan or motorhome without the limitations of the vehicle's era of production or factory configuration. Wireless security sensors, infrared gas leak detector, Keyless Go card with selectable security rules and siren will secure you and your caravan. Control lighting, power supply, heating or air conditioning and swap through security profiles via smartphone or tablet locally using Bluetooth or remotely cellular or satellite network. Allow us to control your mobile home autonomly while you relax and rid you of all your worries. Thanks to our production's latest technologies that we utilize in various fields of automotive industry you will always be in good hands. Enjoy CaraControl system's benefits now. Our first fair in Netherlands! Take a look at CaraControl in Action! We have produced a new batch of wireless security sensors for windows and doors!